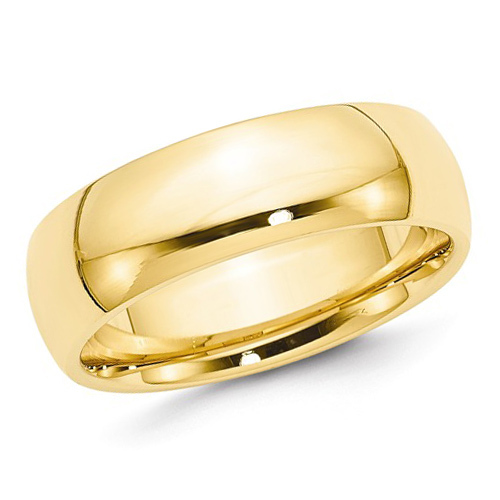 14kt yellow gold 7mm comfort fit wedding band has a domed center and polished finish. Die struck. Thickness: 2mm. Available in half and whole finger sizes only, 4-14. 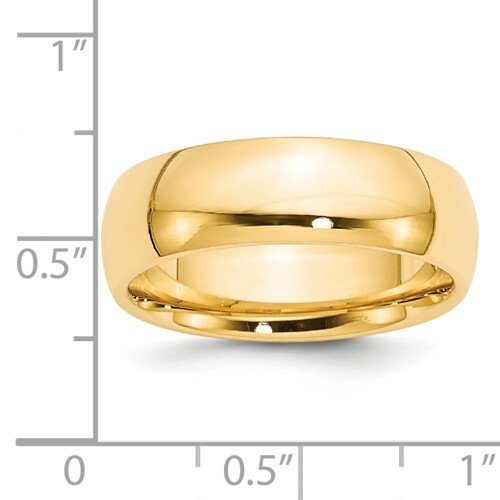 Size 10 ring weighs approximately 9.1 grams. Made in the USA.